When you love to garden, owning a greenhouse often becomes more than a dream. It becomes a reality. But, gardening in a greenhouse is different than gardening outside. Even though the environment is controlled, there are unique challenges that come with growing plants in an indoor space. Many people assume that greenhouses always have the ideal environmental conditions to help plants thrive. But, greenhouses can be affected by the exterior weather, especially if the temperature where you live gets extremely cold. Greenhouses do not usually come with insulation, so you may have to consider whether or not you need it. You may also need to consider a light dep greenhouse so you can control your growing environment; visit this website for more information. 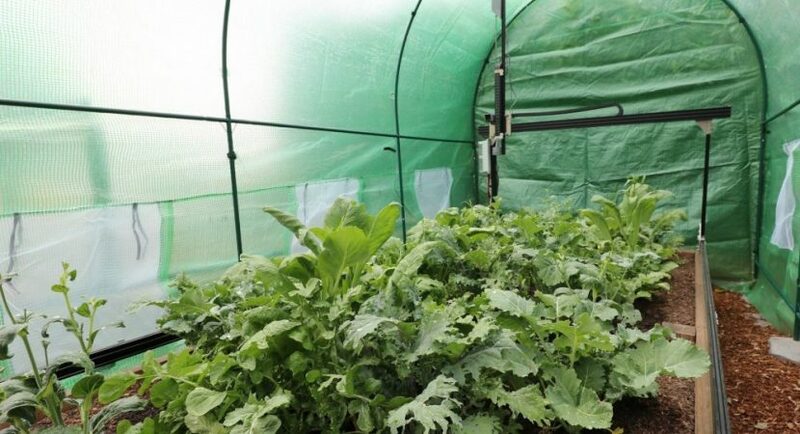 Gardeners often build greenhouses so they can continue to play in the dirt all year long. But, all too often, gardeners build their greenhouses too far away from their own homes. When it is a hassle to get to the greenhouse, you probably won’t visit as often as you originally planned. Therefore, when you decide to build your greenhouse, put in a location that is convenient for you. This could be right by your backdoor or on a plot of land between your workplace and your home. It would be a shame to invest in a greenhouse, get your seeds going, then fail to tend to them because you don’t want to walk to the greenhouse in the dead of winter. Build it close and you will go. Once you choose the location and you build the greenhouse, you need to work with the ventilation. This is a key element to greenhouses as their internal temperatures can change rapidly. It is possible for plants to get too warm, so it is vital that your greenhouse has vents that open manually or hydraulically. Some gardeners will install oscillating fans to move air around and keep the plants in a beneficial environment. Plants need warmth to grow, so greenhouses in cold weather climates need a little extra boost to stay warm. Daylight will help keep the interior warm, but at night, you may need to turn on a heater to prevent plants from becoming chilled or develop frost. Some greenhouse owners swear by a 220-volt electric heater and others prefer to install gas or oil heaters. If you want to be eco-friendly, a solar heater is the best choice. There are some gardeners who will hang heat lamps over the tenderest plants. Another possibility is to install heating coils underneath the flower beds. If you do have to add heat, pay close attention to how quickly the temperature rises so you know when to release the excessive heat via the vents. Warmth and humidity will help plants grow successfully, but too much warmth and too much humidity can actually prevent plants from reaching their potential. With too much water vapor in the air, plants can rot and fungus can develop. While you don’t necessarily want the greenhouse to be as dry as a desert, you need to keep the humidity levels under control. One easy way to prevent excessive humidity by avoiding overwatering plants. When there is too much water, it simply puddles and sits. Your ideal humidity is between 50 and 60 percent and this can be maintained by being aware of how much water you use and how often you vent the greenhouse. If you need to add humidity to your greenhouse, consider the way it is done in a sauna. All you need to do is add some rocks and place them in a sunny spot in the greenhouse. Then, put water on them and they will radiate the humidity back into the greenhouse. Gardeners who are new to greenhouse work often water their plants during the wrong time of day. Instead of watering them in the hottest time of the day, it is best to give them water in the evenings. Plants need time to fill up with water and if they are watered in the heat of the day, the water evaporates too quickly. Those water droplets can also act like magnifiers, making it even hotter for the plants. When you water in the evening, plants have plenty of time to soak in the water as it moves through the dirt. Even though greenhouses usually have doors that seal tightly, pests are still able to get in and wreak havoc on your garden. As you wander through your garden each day, look for signs of pests that like to destroy gardens. Slimy slug trails and crunchy snail shells can be the first sign that you might have a problem. If you do find that slugs have invaded your space, you have a few easy remedies. One is to place slug pellets around the greenhouse. The other is to use salt to dry out the slugs. If you use slug pellets and/or salt, be sure that you are avoiding your plants because you do not want to harm them. If you prefer to avoid using items that can damage your plants, you can also add nematodes to your garden to kill slugs and other pests. Since gardening is a relaxing hobby, it is a good idea to keep your space relaxing and inviting. If you make a mess, clean it up. Greenhouses are filled with dirt, so they can easily become messy spaces that are not inviting and relaxing. If you find that your greenhouse and all of your plants and gear are getting out of control, you should set aside time each day to take care of the space so you can enjoy it to the fullest. You do not want to waste your time looking for tools, so always put them back in the same spot when you are finished using them. With a little extra effort and care, you can keep your greenhouse looking like new. Your plants will appreciate it!